Magic Data provides a powerful token and symbol processing engine that can be used on a page through Magic Data Templates and various other means and is also used by other addons to enhance functionality. 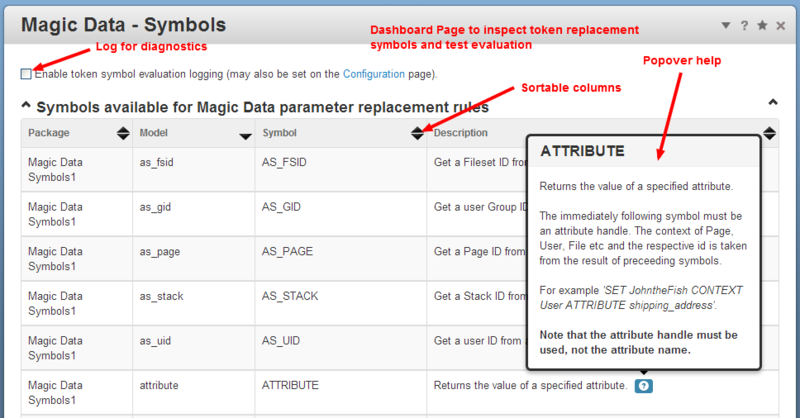 Magic Data Symbols provides a growing set of symbols for use with Magic Data and should be installed after Magic Data has been installed. 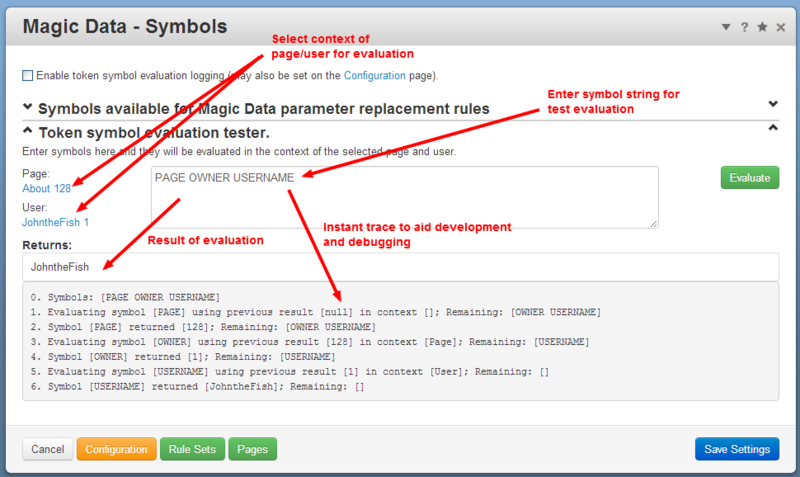 Please read the documentation and use the built in symbol tester dashboard page to get started. The symbol engine built in to Magic Data is pluggable and expandable. You can easily add your own symbols as root level models or in packages. Developing Symbols provides further information on extending the symbols available. From version 2.9 this addon is compatible with php7. To update a site to php7 you will need to make core updates (at time of writing only on github and not released). You will also need to ensure that other addon packages are php7 compatible.